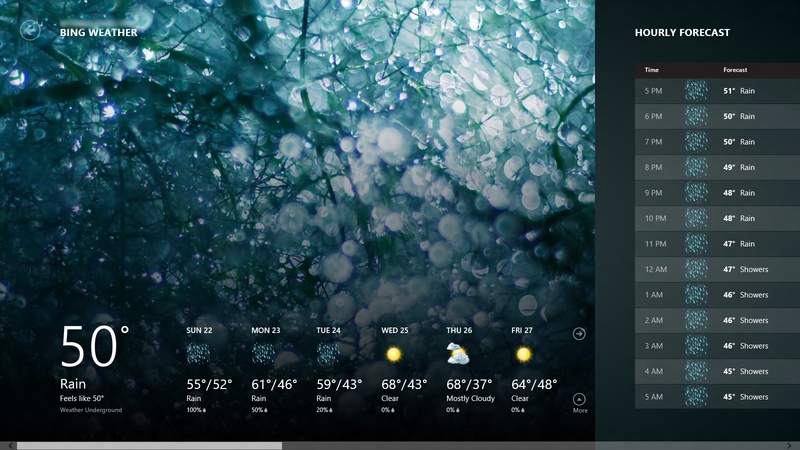 Windows 8 is a whole lot of different and radically new graphics as far as Windows is concerned. If you haven’t given it a very good whirl yet you may want to scroll on down for some of the main GUI redesigns and a quick look at new basic features. 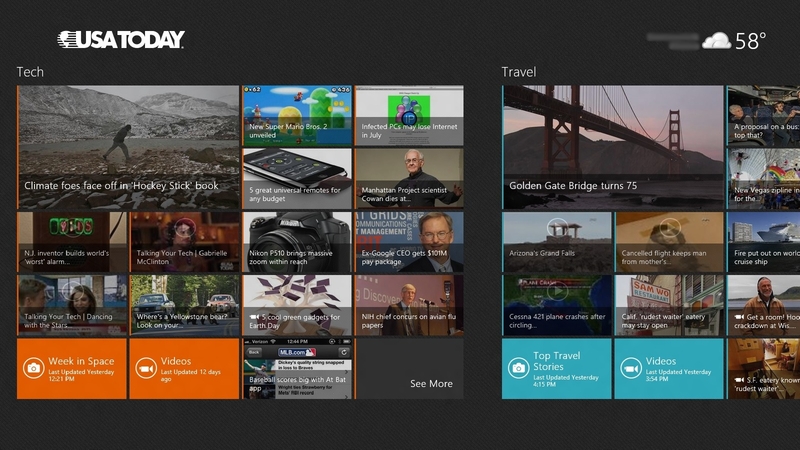 We put together this slideshow so you could get the goods on what Windows 8 is all about. 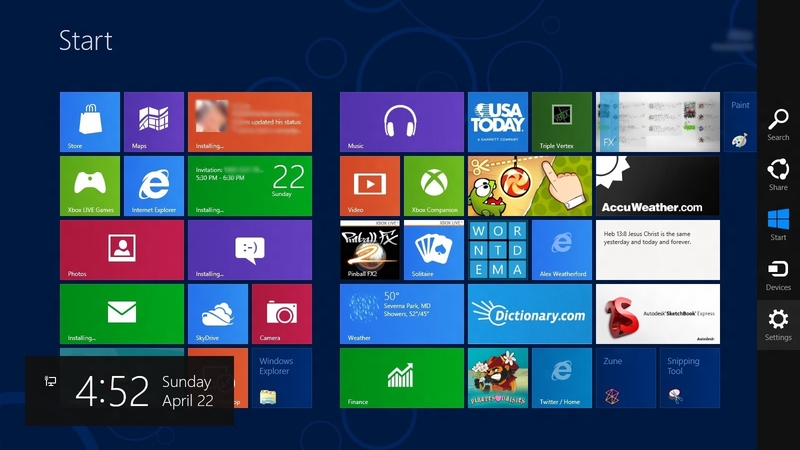 After looking it through, read our verdict on Windows 8 for more. The main sidebar, accessed by moving the cursor over to one of the right corners, shows "charms" allowing for basic functions like the clock, setting, and search, as well as sharing what you're looking at. 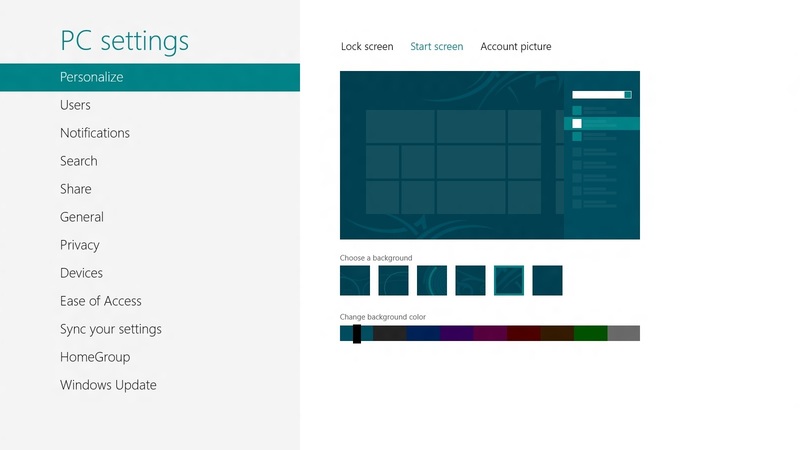 Here are the options for the Start Screen customization, the 6 patterns (including none) and 9 colors. The graphics-focus of the OS has its advantages. This looks fantastic. Aside from the app sidebar, multiple windows may still be on screen for quick switching, though the functionality with this is limited. 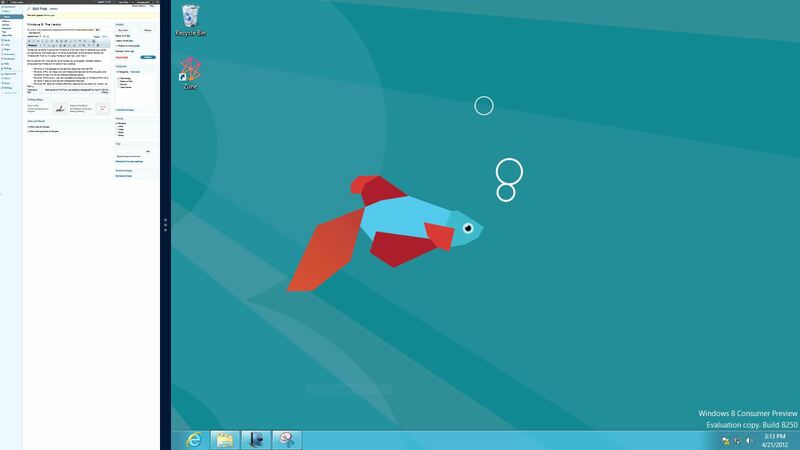 Also note the Windows 7-ish Desktop portion–without a Start button. 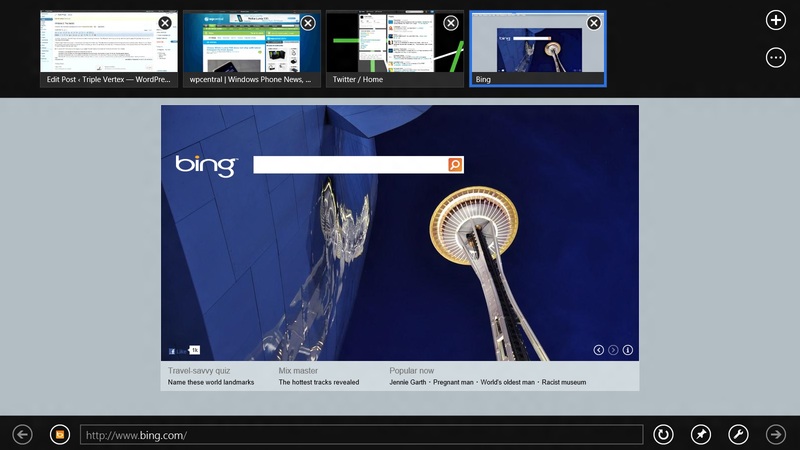 The new Metro Internet Explorer is a joy to browse in, but does not support flash. 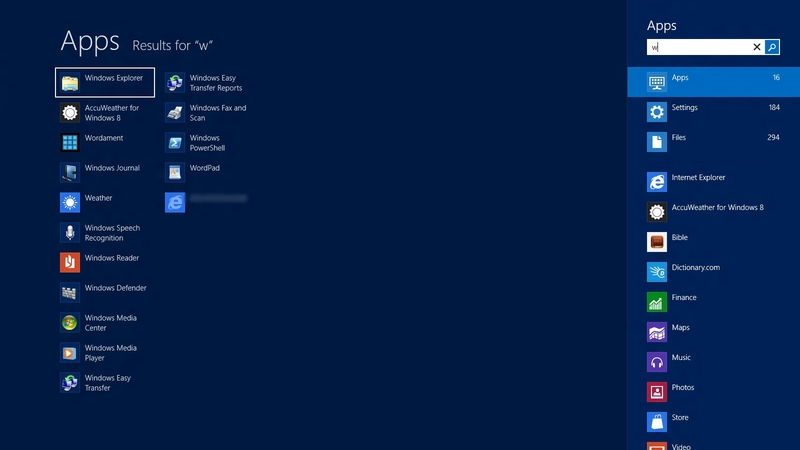 Upon accessing the search option from the main sidebar, you can search apps, settings, and files on your computer. I'm already excited for Xbox Live enabled gaming on the PC. Who knows? Maybe PC gaming will see a come back. This app is great for consuming media, and isn't skimpy with information which can fit on the screen, which is an irritation with some apps. 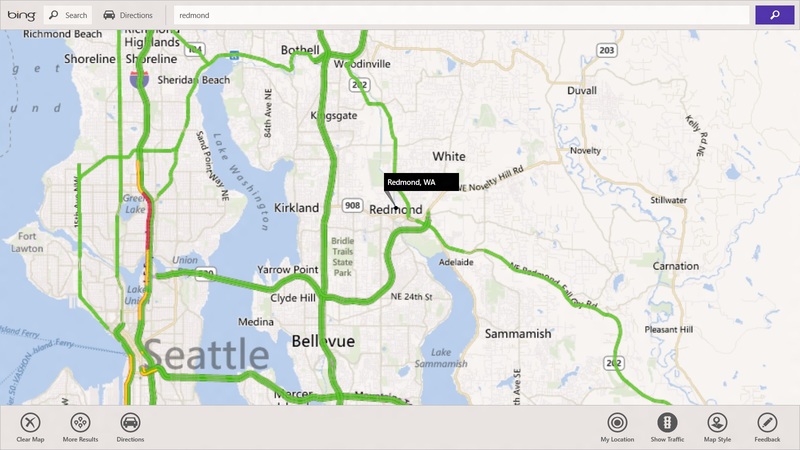 This maps app is a great example of an app which can be easily included or obtained via the marketplace and add simple and easy functionality for the average user without a hassle. More user-friendly? 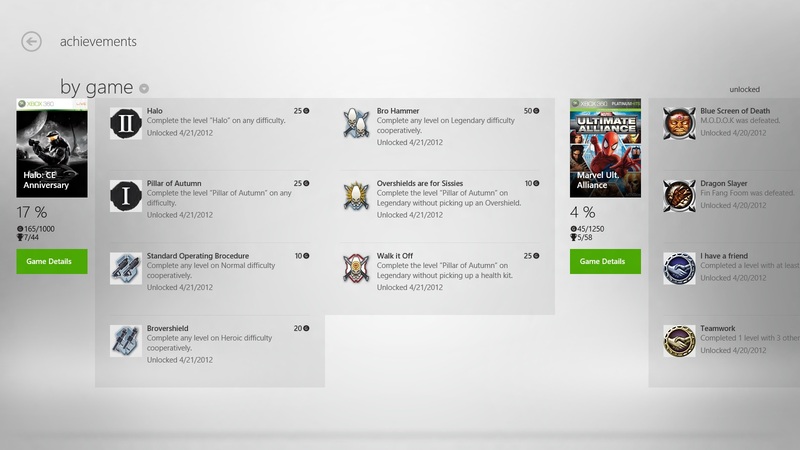 Posted on April 22, 2012, in Technology and tagged Bing, charms, Metro, microsoft, USA Today, Windows, Windows 8, XBox, Xbox Live. Bookmark the permalink. 2 Comments.